The butadiene is a monomer and used as an important chemical intermediate to produce elastomers and thermo­plastics, such as synthetic rubbers, latex, acrylonitrile butadiene styrene copolymer and polyamide. The tire industry is the main consumers of butadiene. Other applications for butadiene include paper chemicals and plastics production. BASF is a pioneer in butadiene extraction as it has been marketing its licensed butadiene extraction process for more than 40 years. About one-third of all the world’s butadiene plants currently work by this process. The reason is that BASF’s technology for manufacturing butadiene of purity in excess of 99.7 percent is highly reliable and flexible, and requires very little energy input. In Europe, BASF already operates a butadiene extraction plant in Ludwigshafen, Germany, with an annual production capacity of 105,000 t/y. In recent years, the volumes of butadiene available on the global market have declined sharply. At the same time, demand from the tire industry and other industries has been rising. This has led to a considerable increase in prices and BASF to make the decision to increase its butadiene production capacity. 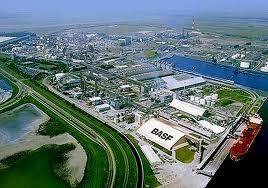 Thus BASF plans to build a butadiene extraction plant in Antwerp, Belgium. While greenfield plant the butadiene extraction unit will be integrated in the existing BASF petrochemical complex in Antwerp. The butadiene will be extracted from crude C4, a feedstock available from the steam cracker. The capital expenditure to be invested will be close to $100 million. 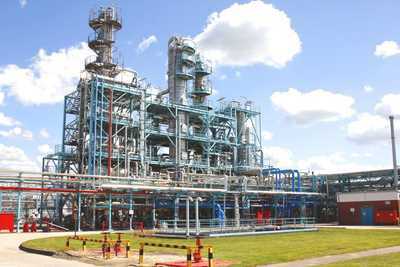 BASF expects the completion and start up during 2014. With this greenfield plant in Antwerp, BASF will secure the production of butadiene at a competitive cost by improving the integration of the C4 value chain, while it will take advantage of opportunities on the attractive global market and therefore will consolidate its Market Leadership on the butadiene market in a long-term perspective. Vinylformamide (VFA) is an important feedstock for water soluble cationic polymers. These materials are part of BASF process chemicals portfolio as used in the paper industry to increase the efficiency of the production process, to optimize costs and paper machine efficiency. Especially the VFA-based, polyvinylamine (PVAm) product line allows paper manufacturers to produce more environmentally friendly and considerably lower their costs. The global demand for VFA is expected in Europe, Asia and the Americas because paper producers are under an enormous pressure to reduce their cost of operations, including in Asia, considered as the growth engine of paper production and demand. – The expansion of the manufacturing plant for vinylformamide (VFA) in Ludwigshafen. – A greenfield polymerization line for VFA in China for further processing of the feedstock from Ludwigshafen. 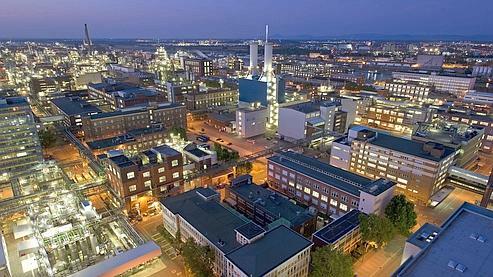 The expansion in Ludwigshafen will also allow BASF to keep up with the growing demand for polyvinylamine. The total capital expenditure of these three projects is above $ 100 million. BASF expects the completion and commercial start up by the end of 2014. If the paper industry is under pressure to reduce costs, BASF is taking the opportunity of this crisis to position itself as a problem solver and to enlarge capacity. BASF is a world’s leading chemical company with a portfolio covering chemicals, plastics, performance products and crop protection products to oil and gas. With about 111,000 employees, six integrated petrochemical complex and close to 370 production sites worldwide, BASF is in almost all countries of the world. 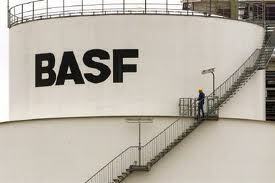 In 2011, BASF posted sales of €73.5 billion and income before special items of approximately €8.4 billion. Within BASF, the Paper Chemicals division offers process chemicals to optimize costs and increase machine efficiency, functional chemicals to lend specific properties to paper, and finishing chemicals to improve the appearance and performance characteristics of printed paper and board. With this comprehensive portfolio, BASF is the leading supplier of paper chemicals worldwide. BASF Ludwigshafen is the largest integrated chemical complex in the world. BASF is listed in Frankfurt, London, Zurich. While the tire industry and paper sector are both under high pressure on the global market, BASF, through its advanced expertise and innovation in butadiene extraction and Vynilformamide applications, is showing how to sustain profitable growth and consolidate its global Market Leadership in the chemical industry.